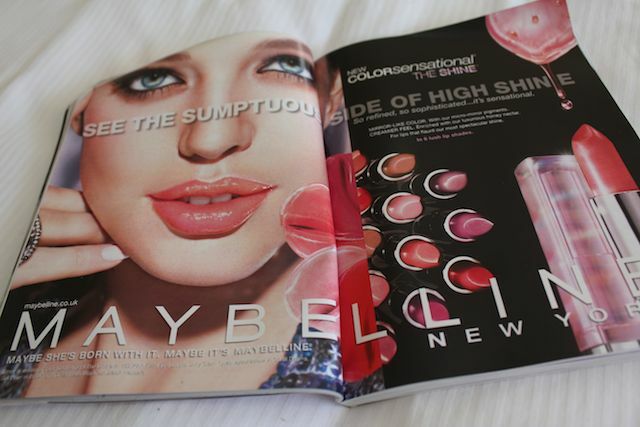 It's for Maybelline's new Colorsensational The Shine lipsticks. Supposedly mirror-like and creamy, they come infused with honey nectar. As soon I scanned the visuals I made a mental note to search for them this weekend. I love anything that promises a glossy finish. I rocked up to Boots today and there they were - in the promo pride of place. However, the colour range - just like the pigmenation - is a little skimpy and there were really only a couple of shades that I would have gone for. I ended up with Beige Rose (602). I have just tried it out - this post is literally hot off the presses (very exciting, I am sure ;) - and well....it does make the lips look nice, it smells pretty good (in a sort of uber-sugary fruity way) and it's definitely glossy. I shouldn't really complain but I do feel a little let down by the lack of pigmentation. What looked quite beigey on the back of the hand just translates to a sheer/clear balm like effect on the lips. Maybe that's the bloomin' point of them though? I don't know. It's not bad but it's not brilliant. Put it this way: it's certainly no dupe for a Chanel Rouge Coco Shine. I bought one of these a few days ago, I found the pigmentation pretty good actually - I had the Rosy Dream shade - but the shine less so. I guess each shade differs. But as you said not comparable to the Rouge Coco Shine. I have one of these in, Mauvilous Shine (820). On me it's a my lips but better shade and I do like it. I'll have to pick up the Beige Rose and give it a try. I’m surely inspired along with your article, such top notch & useful knowledge you referred to here. Well publish i certainly like this writing fashion and this article deliver us lots information. Wow! 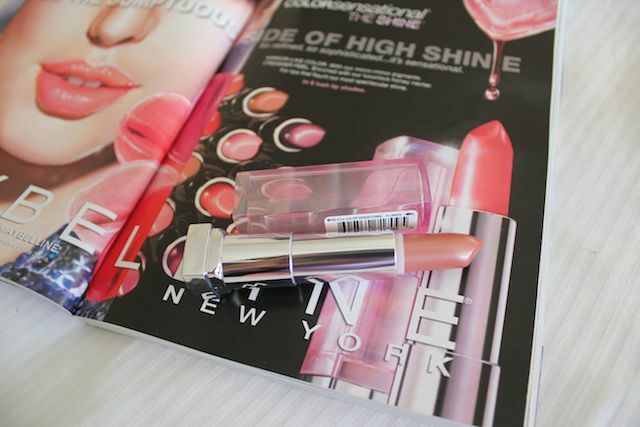 This Shine lipsticks is looking so pretty attractive.I want to try it once.I hope It is working Fine. Thanks for sharing. Thanks for giving great kind of information. So useful and practical for me. Thanks for your excellent blog, nice work keep it up thanks for sharing the knowledge. Thanks for giving great kind of information. So useful and practical for me. Thanks for your excellent blog, nice work keep it up thanks for sharing the knowledge. I just like the helpful information you supply in your articles.I will bookmark your blog and take a look at again here regularly.I am somewhat certain I’ll be informed many new stuff proper right here! Best of luck for the following! cerisea medica Nutritional requirements must still be met, so be certain that you do not eat too little. • • To get thinner you must seek for aide , not ready to use cure or any quick solution. You must carefully think about your goals and keep your expectations sensible. Beta keto Please devote some a opportunity to evaluate them out. Some companies have tested their goods in a double blind test - look at the test outcomes before using their goods. Don't trust the companies that have not gone through the procedure. The excellent ones have tested their aspects insure their safety as roper care professional first.